It is not uncommon to see big name games like Halo in the news. In fact, you’ll see them plenty enough when launches are announced and reviews are given during tech and gaming segments. This time though, Halo managed to make it to the headlines, albeit mistakenly. 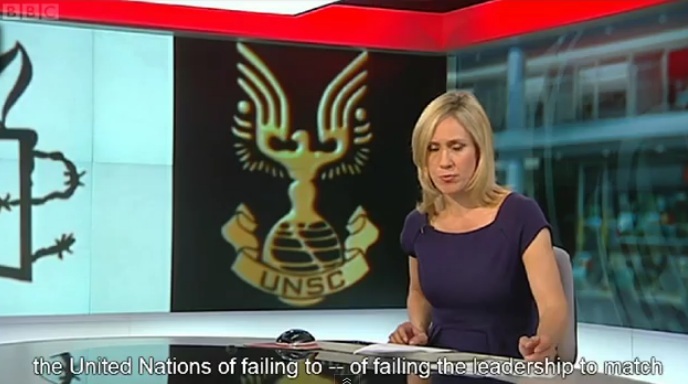 BBC showed just how much they are (un)familiar with the Security Council and Halo’s fictional agency when they flashed a picture of the United Nations Space Command in place of the UN Security Council logo. 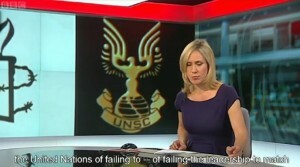 I guess some researcher must have been feeling pretty lazy that day and entered “UNSC” instead of UN Security Council while googling for an image sample, since it is Halo’s UNSC’s logo that comes up first in the search results. Go ahead, look it up! Hey BBC, lighten up. It’s ok, errors like this one actually make gamers like us smile. In case you want to watch the news clip, you can view it here on YouTube.